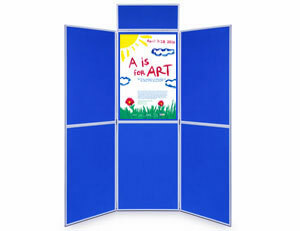 Display Boards UK offers an unbeatable range of portable and lightweight display boards ideal for poster presentations, trade show events and exhibitions. 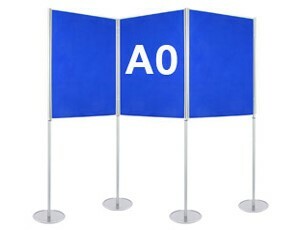 We also have an extensive range of concertina screens and office screens which not only act as stylish room dividers, but double up as practical Velcro and pin friendly display stands. 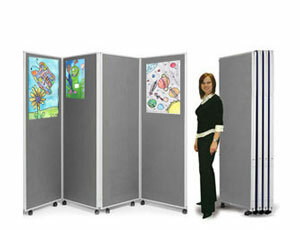 If you need help choosing the right display board for you why not call our friendly sales team today on 0116 2047759. 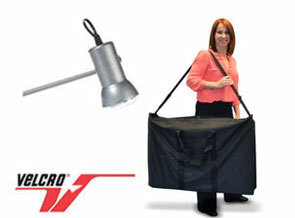 Plus we offer a comprehensive range of accessories such as carrying bags for easy storage and transportation, spotlights to illuminate your poster presentation and Velcro for securely attaching posters and display material. *Who Gets 30 Days Instant Credit? We grant 30 days credit to Public limited companies, Councils, NHS and other publically funded organisations. When ordering online you simply click 30 days credit when you reach the payment method section. You can also email, fax or post us an official order. If you do not qualify for instant credit facilities we kindly ask that payment is made prior to the goods being manufactured. If you require a pro-forma invoice please contact our sales team on 0116 2047759 and they will be happy to assist. Once a reasonable period of trading has taken place we are more than happy to consider account facilities. 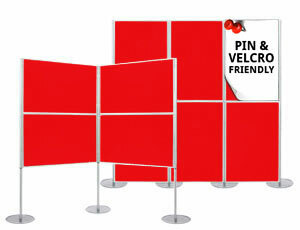 Need a display stand in a hurry? Some of our most popular systems are available for next day delivery at no extra cost. Call our sales team today to find out what we have in stock. Looking for a flexible portable display which you can increase or decrease in size depending on venue restrictions or display requirements? 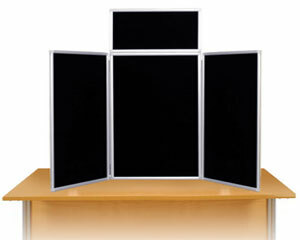 Try our unique modular panel and pole system, which allows you to effortlessly add and remove sections. You can purchase additional boards and poles at any time to increase the size of system, giving you endless configuration possibilities. 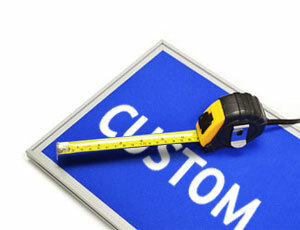 Looking For A Custom Size Panel? 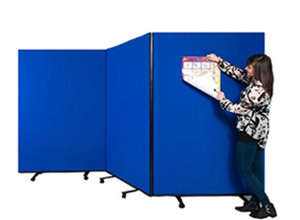 We can supply made to measure office screens, room partitions and poster boards at highly competitive prices so call our sales team today to discuss your individual requirements. 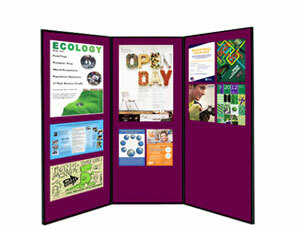 Contact us on 0116 2047759 or email us at sales@display-boards-uk.co.uk for further advice and information.